In Hungary, most communal solid waste is currently collected and deposited in landfills without sorting or pre-treatment. Act XLIII of 2000 on waste management, which entered into effect 1 January 2001, specifies the necessity of the pre-treatment of waste materials entering landfills in chapter 15 paragraph 5. 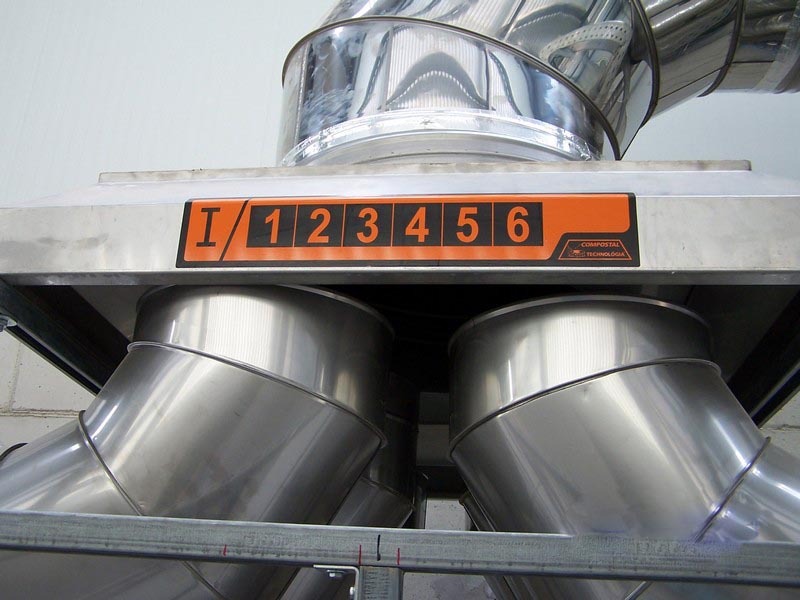 As of 1 January 2012, waste depositing taxes will be raised significantly, making the need for the reduction of untreated waste depositing even more pressing. 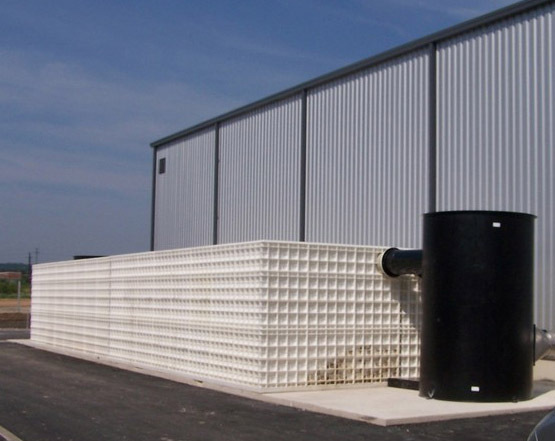 The goal of the mechanical-biological stabilizer to be built at the waste management facility is to conform to EU regulations and to relevant waste management laws, whereby communal waste may not be deposited without pre-treatment and sorting. The treatment of waste can happen in biological treatment chambers or with the help of semipermeable covering materials. The Compostal semipermeable covering laminate is suitable for the proper stabilization of communal mixed waste as well as composting. This means regulations can be met with small investments and low maintenance costs, and deposit costs can also be lowered. The task of the biological treatment chamber is the treatment of the organic fraction of incoming waste under controlled aerobic conditions. Possibility of treating different types of organic materials. Stabilization of biodegradable organic waste. Mixing and homogenization of different organic materials for consistent material quality. Waste that is 60-80 mm in diameter arrives from the sorting facility by conveyor belt. Depending on the season, the composition of the waste can vary. Before insertion into the chamber, the materials have to be mixed and, if necessary, moisture needs to be applied from the installed taps. The optimal moisture level is 30-50%, which is necessary for proper decomposition processes. The easiest way to check the moisture level is to take out a 2-3 liter lump of the waste in gloves and protective gear - if pressed, moisture should not drip but the lump should stick together. During loading, this should be checked several times. 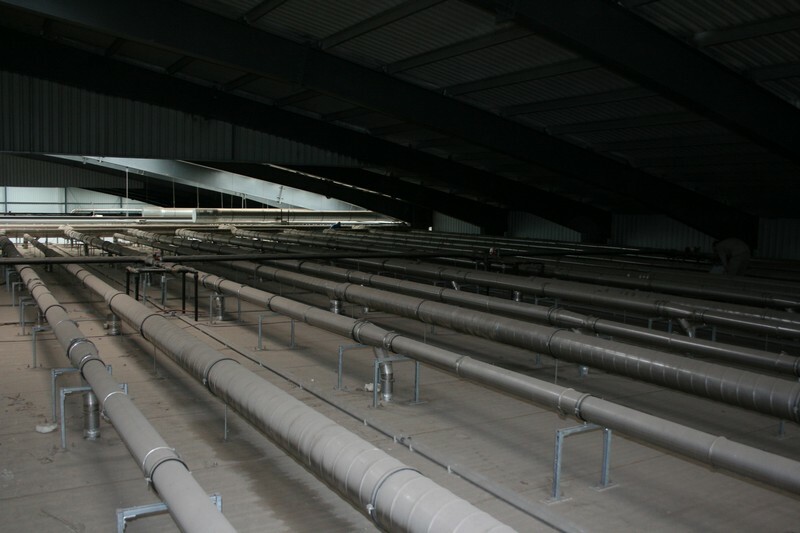 The first step in the composting chambers is the checking of the aerating pipes. 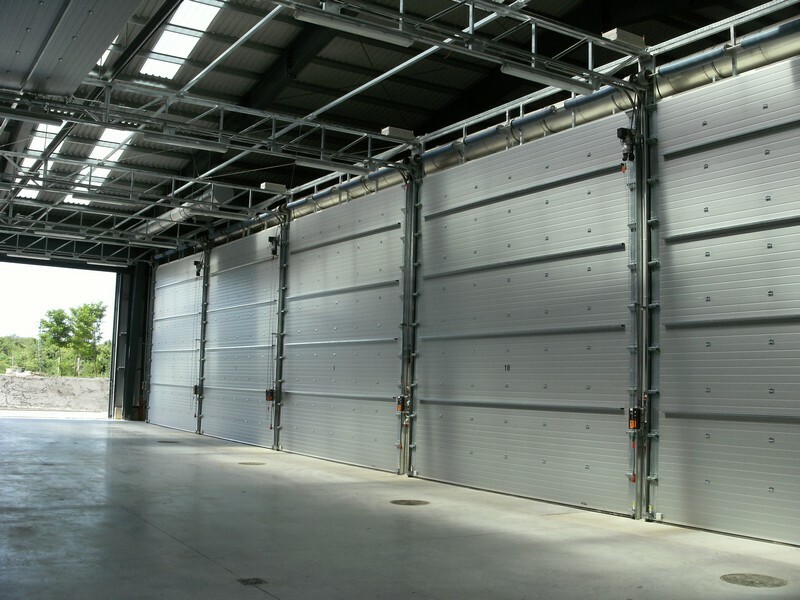 Once the door of the chamber to be checked is open, the fan should be switched to direct mode. The perforations in the pipes are to be checked to ensure that they are not blocked. This can be performed with a simple scraper or brush and a hole cleaner. 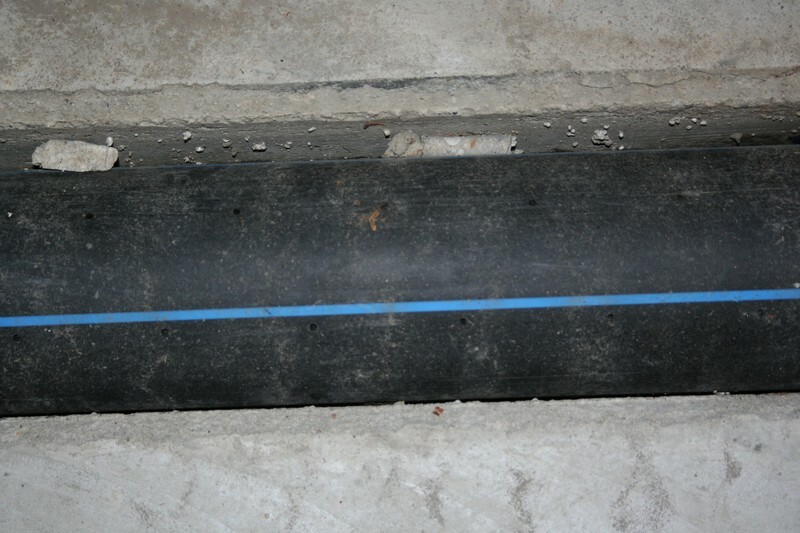 In order to ensure that the holes do not become blocked, 60 to 100 mm loose structure material is laid on them about 30 cm thick. This provides proper aeration and the drainage of superfluous run-off water. In order to aerate the material immediately, the aeration system needs to be running during the piling of the windrows (prisms). 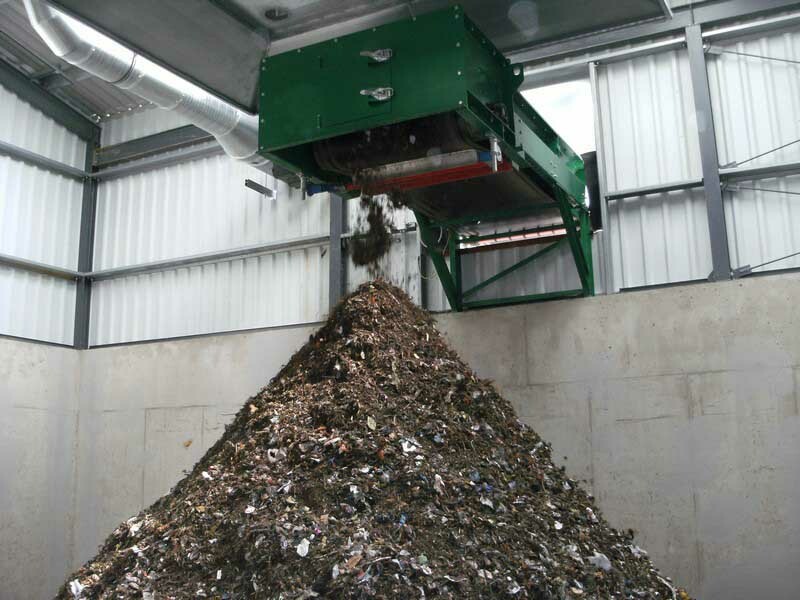 The chambers are filled with pre-mixed waste by front-end loaders, which ensures the proper mixing of materials, providing a homogenous starting material. During front loading, care must be taken to ensure the loading machine does not roll over the structural materials. During loading, the material must not be compacted or padded down, as this will result in the blockage of aerating holes. On-board loader scales should be used when loading. The waste material should be evenly piled 3.5 meters high. Loading should be finished 3 meters from the door, in order to leave room for the turner to be placed into the chamber. As the units providing the maturing/composting parameters are installed in the walls and ceiling of the chamber, the loading is to be finished with the closing of the chamber. During loading, only the machine operator may be present in the chamber. Only one chamber may be loaded or unloaded at any one time. The treatment cannot be started if the chamber door is open or if the chamber is empty. The three week intense maturing period requires oxygen, which must be supplied by programmed aeration. 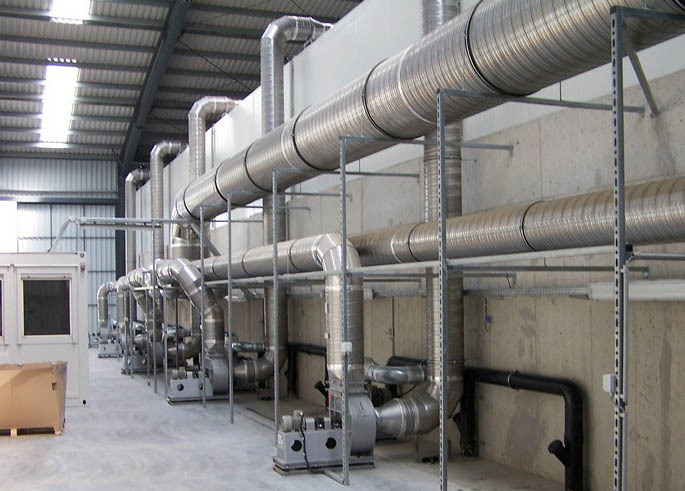 The amount of air provided daily is 1500 m3 to 15000 m3 per chamber. The aeration is performed periodically according to specific algorithms, taking into account real-time parameters, the process cycle, the season, and temperature levels. The adjustment of the moisture level of the windrows and the turning of the material is not necessary in the first 7 days of intense composting. On the 8th and 15th day, before loosening and turning, automatic moistening is to be applied. The length of the moistening is 30-60 minutes. Once the moistening is done, the turning machine is used to turn the materials in the chamber. On the 21st day, the maturing process is over. If the seasonal quality of the waste allows for it, chamber time can be extended by 7 days. The proper functioning of the computer must be checked daily, and the computer must be restarted immediately after any power failures. Chambers are emptied after the 3-4 week maturing/composting period. The first signal must be given by the composting software, signaling the end of the program cycle. 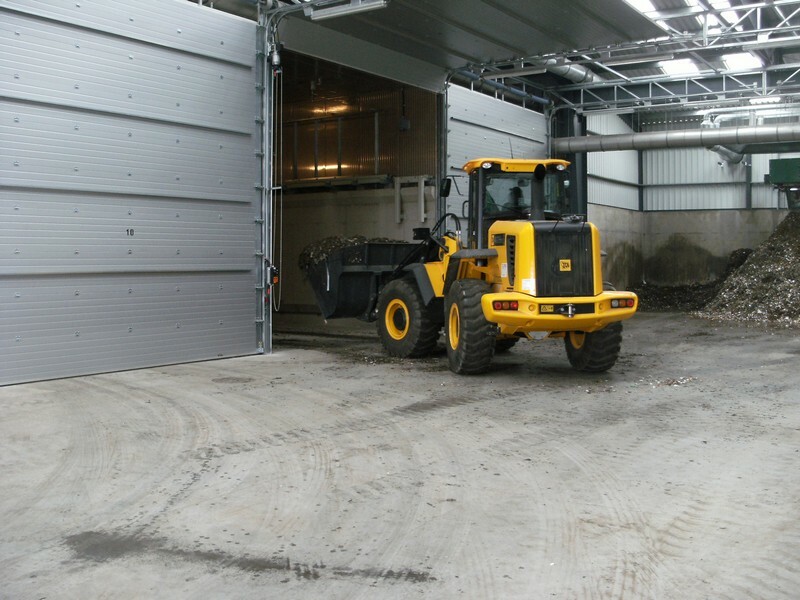 After the opening of the chambers, a front-end loader can be used to move the treated waste to container outside the building. The aerating tubes must be cleaned manually every time with the appropriate tools. Only one chamber may be loaded or unloaded at any one time. During loading, only the machine operator may be present in the chamber. Depending on the type of organic waste, post-maturing may be necessary after the completion of biological treatment. Post-maturing treatment is performed with turning machines in aerated open systems in the post-treatment area. Before post-treatment, the proper moisture level is to be ensured with the method already discussed previously. Too dry materials have to be watered (with run-off water if enough is available). Too wet materials can be optimized by frequent relocation and turning. Depending on the weather, turning should be repeated every 1-2 weeks. Ensures air necessary for biological processes. Removes gaseous byproducts of organic decomposition. Applied during loading, unloading and turning. 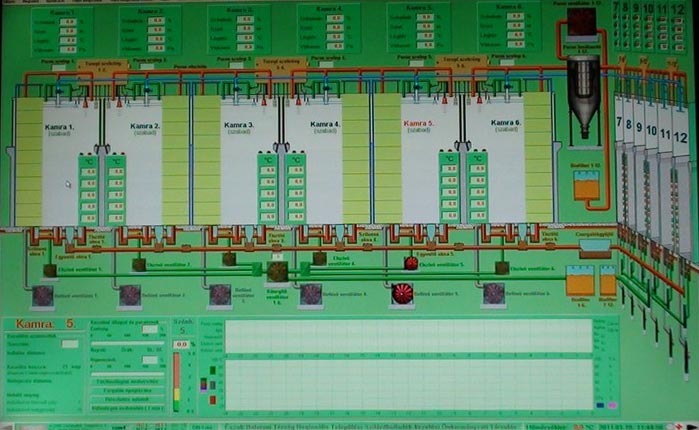 The computer logs all manual or automatic corrections and interventions (events), and also saves the recorded physical parameters onto a disk periodically (every 10 minutes).